UPDATE (3/29 at 11:19 a.m.): This article has been updated to reflect information about Emory’s vendor policy. It will continue to be updated as more information becomes available. The 2017 Dooley’s Week headliner is a mystery once again, as Student Programming Council (SPC) has announced themselves victims of a booking agency scam. 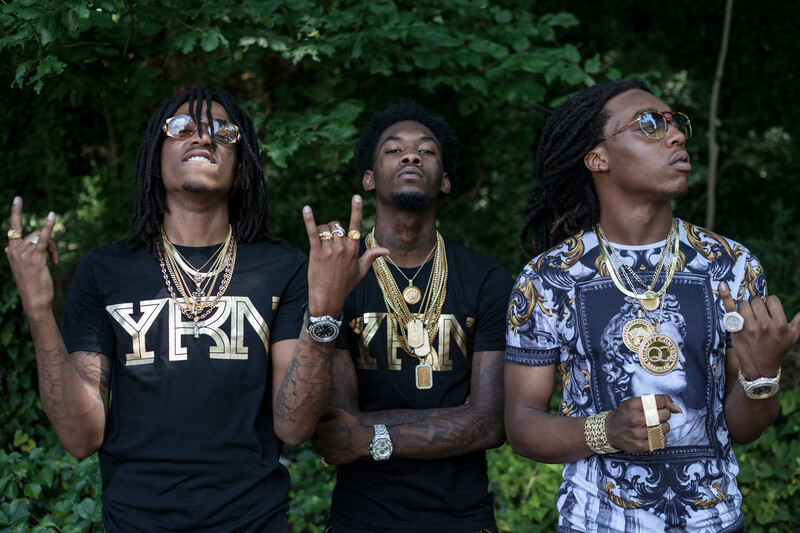 Migos, the hip-hop trio SPC initially announced as this year’s Dooley’s Week headliner, will not perform at Emory since the school contracted the group through a fraudulent third-party booking agency, according to SPC President Ria Sabnis (17B). SPC decided to pursue Migos as the Dooley’s Week performer in January 2017, Sabnis said. Between January and March, SPC communicated with Global Talent Agency, a company claiming to book concerts with high-profile musicians, Executive Director of Community for Campus Life Ed Lee said. SPC Adviser and Student Engagement Coordinator Vernon Smith and SPC Band Party Co-Chairs David Lawson (17B) and Robbie Jacobs (17C) communicated with the agency via email and phone, Sabnis said. Assistant Vice President for Community Suzanne Onorato said she was currently unable to share the dollar amount of SPC’s payment to Global Talent Agency, citing a possible legal investigation. Lawson and Jacobs were responsible for negotiating and communicating with Global Talent Agency on behalf of SPC, prior to contract finalization, Sabnis said. Lawson and Jacobs did not respond to request for comment by press time. Global Talent Agency was not on Campus Life’s pre-approved vendors list, but the Office of Campus Life still allowed the contract to proceed, Lee said, adding that he did not know why Campus Life allowed the contract to proceed. SPC presented the contract to its adviser, Smith, who reviewed it for compliance with Emory policy and forwarded the documents to the Office of the General Counsel, Lee said. Smith had experience with contract negotiations in his previous job, Onorato said, but added that she did not know what his previous job was. The Office of the General Counsel also reviewed the contract for compliance with Emory policy, after which the contract was sent to Campus Life. Senior Vice President and General Counsel Steve Sencer did not respond to request for comment as of press time. Dave Furhman, senior director of Campus Life auxiliary services and administration, who is authorized to sign contracts on behalf of Emory, signed the contract March 8 with Global Talent Agency, Lee said. As outlined in the contract, Campus Life paid Global Talent Agency the deposit through ACH (Automated Clearing House) electronic transfer, Onorato said. Benefits of ACH payment include “increased security through reduced vulnerability to fraud,” according to Emory Policy 2.122: Preferred Payment Method. Sabnis said that the SPC executive board and Smith became aware March 21 that Migos was double-booked for a concert April 8 at a similar time in Mississippi, which would have been a violation of the contract that Emory believed it had entered with the third-party booking agency. Smith then contacted Campus Life, which also attempted to contact the agency’s lawyers to no avail, Lee said. At that point, conversations about the agency’s legitimacy began between Campus Life and the Office of the General Counsel, which later confirmed that Global Talent Agency was a fraudulent organization in part by reading its Better Business Bureau (BBB) profile. According to BBB, the agency is listed as out of business and has had four complaints filed against it in the past three years. Onorato was informed of the company’s record by Director for Office of Student Involvement Leadership and Transition Lisa Loveall, who did not respond to request for comment. Smith and the band party co-chairs initially contacted Global Talent Agency some time between March 21 and 25 to request the concert be rescheduled to April 7, Sabnis said. The agency responded to Smith March 25, saying Migos was unavailable April 7 or 8 and could no longer perform at Emory, Sabnis said. “When we started to do more in-depth research to figure out why we weren’t getting a response [from Global Talent Agency] we discovered that the organization was a fraud,” Onorato said. Smith told Sabnis March 26 that Migos could not perform April 7 or 8. Sabnis was not informed until March 27 that the agency was fraudulent and did not represent Migos, she said. Emory has launched an investigation into how the University might pursue legal action against the fraudulent agency, Onorato said. “We are also working to put together some sort of police filing because we want to make sure, in the end … legal action is taken,” Dooley’s Week Co-Chair Penelope Pentzas (17C) said. SPC is now looking for a lower-profile artist to perform at Dooley’s Week, Sabnis said. Smith is taking the lead on the new artist search, Sabnis said, adding that she hopes Campus Life will examine the booking process to prevent a similar incident from occurring again. Global Talent Agency swindled Ball State University (BSU) (Ind.) in a similar manner by fraudulently claiming to represent Chance the Rapper, according to The Chicago Tribune. BSU contracted with Global Talent Agency to have a concert on the same day as Emory’s April 8 concert, the Tribune reported. BSU paid more than $10,000 to the agency and was forced to refund more than 500 tickets. Global Talent Agency did not respond to request for comment by press time. Student Government Association (SGA) President Max Zoberman (17C) and Graduate Student Government Association (GSGA) President Jared Greenbaum (17B) declined to comment. SGA plans to send out a statement regarding the situation within 24 hours, Zoberman told the Wheel March 28 at 7:57 p.m.
“Members of the Emory University community have been a victim of fraud,” Associate Director of University Media Relations Elaine Justice wrote in a March 28 statement to the Wheel. Students are disappointed that Migos will no longer headline Dooley’s Week 2017. Christopher DeVore (18PH), a Rollins School of Public Health representative on GSGA, called for the resignation of the entire SPC executive board. Other students are more sympathetic toward SPC. “I was absolutely excited to see [Migos] but … it’s not their fault, so I’m not too mad,” Kevin Adams (20C) said. Gustavo Capo (20C) echoed Adams’ sentiment. Correction (3/29 at 11:07 a.m.): The payment that Emory made to the third-party booking agency was through electronic transfer, not check. Correction (3/29 at 10:53 a.m.): The article originally identified Christopher DeVore as graduating in 2019. He is graduating in 2018.